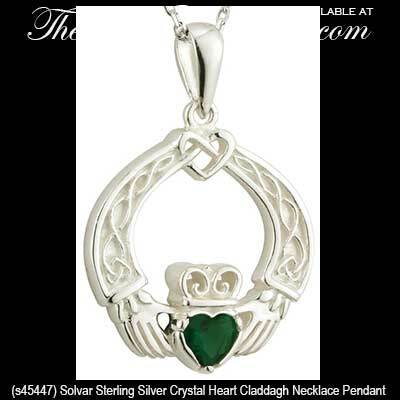 Claddagh necklace is cast in sterling silver and features Celtic knots along with a green crystal heart. This sterling silver Claddagh necklace features embossed Celtic knot-work in arms along with a filigree knot heart just below the jump ring. 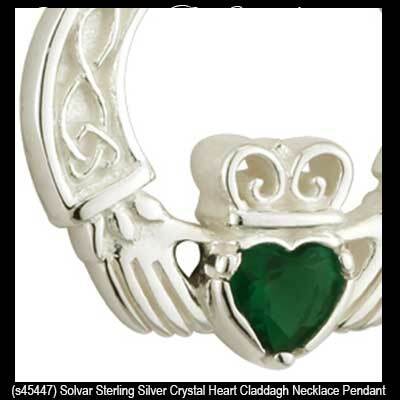 The Celtic Claddagh necklace is further enhanced with a green crystal heart. 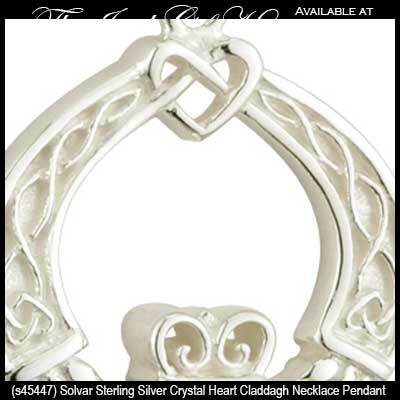 The Irish pendant measures 5/8" wide x 1" tall, including the jump ring and the chain bail, and it includes an 18" long sterling silver chain. Sterling silver Claddagh hoop earrings feature green crystal hearts along with Celtic knots.